Your landscape speaks volumes on who you are and what you are about. Let your home or business landscape tell others that you enjoy the finer things in life, relish colorful foliage, love peace and tranquility, or just simply adore the outdoors. Blue Collar Builders can transform your yard from an ordinary patch to a spectacle of awe and beauty. 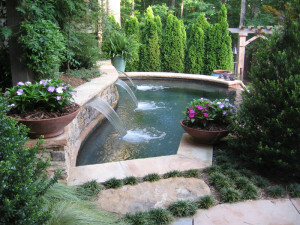 Let us design, build, and install your outdoor kitchens, levels, pathways, plants, lighting, decks, ponds, and so much more.